Rupert Pupkin Speaks: Underrated '75 - J.T. 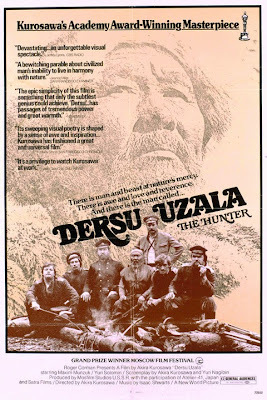 Lindroos ""
Much as I love Yojimbo, Rashomon and all his other magnificent work, Dersu Uzala remains my favorite Kurosawa title. It takes what’s wonderful in his work and combines it with what’s wonderful in much of Russian cinema, and exponentially magnifies both to what might not be underappreciated except within the body of work of Kurosawa himself. Gorgeously moody masterpiece. 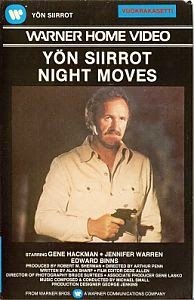 This is a film I haven’t seen in 25 years or so, but after getting hooked on Larry Cohen’s films back in the day, I moved quickly through what was available in Michael Moriarty’s back catalogue, and this Warner Bros. VHS tape knocked me out. Moriarty is fantastic, the storyline fascinating, the support in cast spectacular. I watched it three or four times within a couple of months after seeing it for the first time, and am happy to see it making its bluray debut in the US this summer. 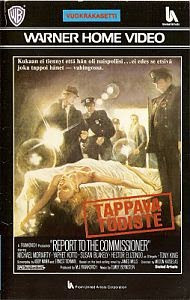 This is hardly a great film, but it is all kinds of spectacular. And it was the first Ken Russell film I ever saw, so it holds a dear place in my heart. Made in the same year as TOMMY, this completely mad musical (of sorts) wallows in its own weirdness, stars Roger Daltrey as Franz Liszt, Rick Wakeman as Thor and Ringo Starr as The Pope. I rented this Warner VHS not because of the director or the star, although I had certainly been a longtime fan of both when I did, but for the fact that James Woods appeared in it in a small early role. He’s fine, but the rest of the film is mind-bogglingly wonderful. It’s a fine modern private eye film until the truly magnificent ending which makes me think there is an enigma machine somewhere capable of deciphering it from the screenplay clues, while being fully aware that it doesn’t reside inside my head. 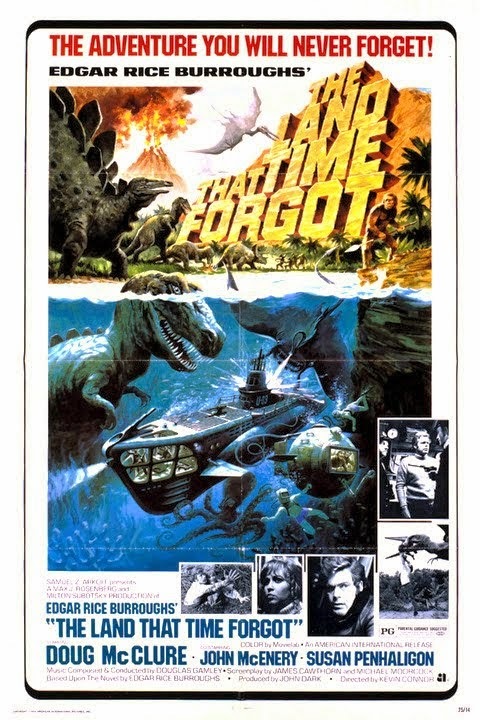 Perfect exemplification of that wonderful “Lost World” genre whereupon modern man stumbles accidentally upon a prehistoric spot littered with dinosaurs and other mortal perils. The screenplay is co-credited to the great Mike Moorcock, and it is for the most part functional and engaging, but the parade of colorful action set pieces and thrills on a fairly meager budget is exactly what the poster promises. In the spirit of Arthur Conan Doyle and H. Rider Haggard, this is fun for the whole family. NIGHT MOVES is a '70s masterpiece and one of my favorite movies ever! I was not aware of its awesomeness when I first saw it, simply wanted to check out a '70s neo-noir, and was blown away... That ending is glorious.